Gout, a form of inflammatory arthritis, affects more than 8 million people in the US.1 Gout can eventually cause permanent damage to bones and joints of adults if left unmanaged.2 In addition, the risk factors for gout can impact the cardiovascular system.3 Read on to find out about the potential correlation between gout risk factors and heart disease and talk to your doctor about how it might impact you. Data from many other studies and reviews add to the growing body of evidence that gout may impact the cardiovascular system.9,10 However, additional research is needed to further clarify the relationship between gout and heart disease. If you have gout, ask your doctor about treatment regimens for adults that may help prevent gout flares. 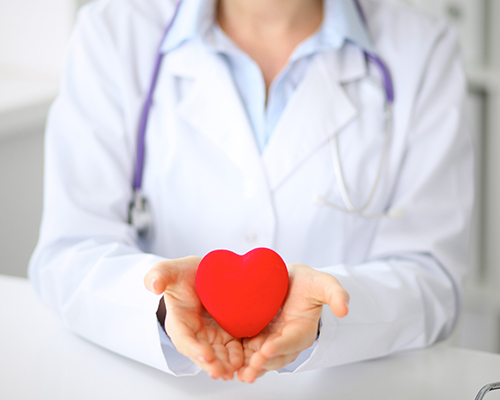 You should also talk to your doctor about how to best manage the risk factors for heart disease that you can control. You may not be able change your family history, but you can make an effort to eat more healthfully, get more exercise and (if you smoke) quit smoking. Gout. University of Washington Orthopaedics and Sports Medicine website. Available at: http://www.orthop.washington.edu/?q=patient-care/articles/arthritis/gout.html. Accessed June 1, 2018. Singh JA. When gout goes to the heart: does gout equal a cardiovascular disease risk factor? Ann Rheum Dis. 2015;74:631–634. Heart Disease/Heart Disease Facts. Centers for Disease Control and Prevention website. Available at: https://www.cdc.gov/heartdisease/facts.htm. Accessed June 1, 2018. Galassi A, Reynolds K, He J. Metabolic syndrome and risk of cardiovascular disease: a meta-analysis. Am J Med. 2006; 119(10):812–819. Lower Heart Disease Risk/What Are the Risk Factors for Heart Disease? National Heart, Lung, and Blood Institute website. Available at: https://www.nhlbi.nih.gov/health/educational/hearttruth/lower-risk/risk-factors.htm. Accessed June 1, 2018. Heart Disease/Family History and Other Characteristics That Increase Risk for Heart Disease. Centers for Disease Control and Prevention website. Available at: https://www.cdc.gov/heartdisease/family_history.htm. Accessed June 1, 2018. Krishnan E. Gout and the risk for incident heart failure and systolic dysfunction. BMJ Open. 2012;2:e000282. Singh JA, Cleveland JD. Gout and the risk of myocardial infarction in older adults: a study of Medicare recipients. Arthritis Res Ther. 2018;20:109. Available at: https://www.ncbi.nlm.nih.gov/pmc/articles/PMC5984737/pdf/13075_2018_Article_1606.pdf. Accessed August 15, 2018. Gaffo AL, Edwards NL, Saag KG. Hyperuricemia and cardiovascular disease: how strong is the evidence for a causal link? Arthritis Res Ther. 2009;11:240. Available at: https://arthritis-research.biomedcentral.com/track/pdf/10.1186/ar2761. Accessed August 15, 2018.